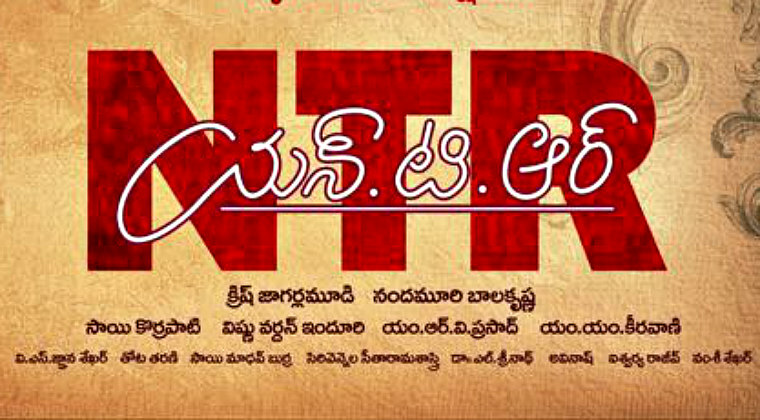 The first schedule of NTR biopic has been wrapped up. Director Krish took it on his official Twitter handle to share this update and also posted a picture from the sets. NTR biopic has Nandamuri Balakrishna playing the title role while Bollywood actress Vidya Balan is essaying the role of Nandamuri Basavatarakam. Actors Prakash Raj, Naresh and Murali Sharma are going to be seen in the roles of legendary filmmakers in the biopic. There are also rumours that Keerthy Suresh and Rakul Preet Singh are approached for Savitri and Sridevi roles. Balakrishna is turning producer with this film and is bankrolling along with Vishnu Induri and Sai Korrapati. Previous articleఫిదా పిల్ల మార‌లే.. శ‌ర్వాతో గొడ‌వ‌లు..? Next articleపాపం.. పూరీకి ఇప్పుడు దిక్కెవ‌రు..? Who gets Chiranjeevi’s support for elections?